SERVTECH Inc. was established in 1994 and is recognized as a leader in sales, service, refurbishment and training related to Canon FPA-3000 i-line & DUV series steppers and Canon MPA-600FA/Super photolithography equipment. Our knowledge of Canon photolithography systems provides our customers with a genuine advantage through quicker diagnostics and field service support, as well as professional solutions in system optimization and training. We know the importance of a highly trained staff. All SERVTECH Engineers are Canon factory trained with over 70 years of combined experience of providing service and training on Canon photolithography equipment. For more than 20 years SERVTECH have been providing sales, service, training and technical support, both domestically and internationally. We have executed our services in many countries around the world including US, Canada, Japan, China, Korea, Malaysia, Germany, and Australia. We are a company committed to honesty and reliability and we guarantee responsive and knowledgeable customer service. SERVTECH is dedicated to developing strong, mutually beneficial customer partnerships in the semiconductor industry and we hope we earn the opportunity to work with you. 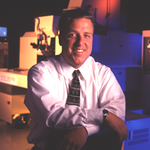 * Brian Pickren - President SERVTECH Inc.
Brian Pickren has more than 25 years experience with Canon Photolithography equipment sales and service. The first 5 years as a Field Service Engineer for Canon U.S.A. and 20 years in the semiconductor capital equipment industry as a business owner and a Canon photolithography equipment expert. He has been part of the start up and development of two successful companies and continues as the owner and President of SERVTECH, Inc.